Five hundred years ago, the coastal city of Chennai was non-existent. In its place on the southeast coast of India laid a wide expanse of no man’s land instead. In the 1600s, however, the British East India Company, a trading firm interested in spice trade at the time, built a fort as a command post in the region. Construction of the fort was completed on April 23, 1644, which coincided with St. George’s Day, in honor of the patron saint of England, giving rise to the name, Fort St. George. The booming economic activity of the East India Company resulted in the development of the area as a popular trade and commerce center. The settlement that was built around it was then called George Town which eventually evolved into a larger city called Madras, later known as Chennai City. Although Fort St. George was first erected as a trading station, it later evolved into the headquarters of the Indian Army and was utilized as a base for the British regiment. It also served as the residence of Lord Clive, one of the people responsible for the establishment of British rule in India. Fort St. George, which comprises several buildings including an army garrison, a church and administrative quarters, is considered a British military architectural wonder. The fort complex was bounded by a vast stone wall that was six meters tall and had massive gates. Currently, the fort resembles a grand mansion rather than a military fort. It is, however, still utilized as a base for the Indian Army. It also serves as the administrative headquarters for the regional government, housing the Tamil Nadu Secretariat and the Legislative Assembly, in particular. The fort complex houses different historical structures, including a museum, a lighthouse, India’s tallest flag post, the oldest British church in all of India, and a moat surrounding the main building, which are available for the viewing pleasure of local and foreign tourists. The museum boasts of ten distinctive galleries such as the Porcelain Gallery, Portrait Gallery, Prints and Documents Gallery, Indo-French Gallery, and Coin Gallery, to name a few. Each of the galleries contains numerous artifacts of the British Raj era and items from English and British rule including weapons such as swords, rifles, pistols, daggers, mortars, cannon shots, helmets, and native weapons such as bows and arrows. Period uniforms, medals, coins, portraits, manuscripts, original correspondence from army officers and other relics from the colonial period fill the three floors of the museum with an imposing 14 ½ foot statue of Tipu Sultan standing guard at the museum entrance. Another museum attraction is the lighthouse perched on top of the museum building, erected in 1844 and abounding with its own rich history to tell. Another of Fort St. George’s treasures is the famed St. Mary’s Church also known popularly as the Westminster Abbey of the East. Constructed in 1680, St. Mary’s Church is one of the oldest British Anglican churches in India, distinguished for its intricate wall frescoes and for having the oldest British and English tombstones in India found in the church’s cemetery. Fort St. George is a national treasure that is currently under the guardianship of the Archaeological Survey of India and has been declared as a protected monument. It has played a crucial role in the expansion of British rule and territory in India and was the venue for many major historical events in the city. 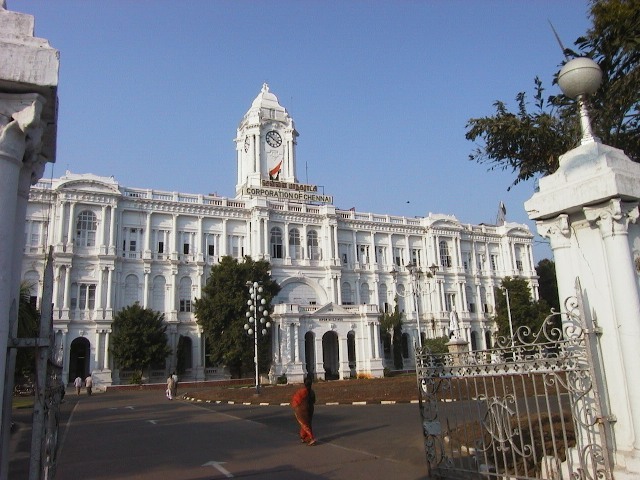 Chennai city acknowledges its debt to Fort St. George, owing its very existence to this magnificent structure that till now, continues to play its part in Chennai culture and history.